Compass Wishes You a Happy New Year 2019! All of your friends in Compass’ California offices would like to wish you a very happy New Year 2019! We hope that you have a festive, relaxing, and safe holiday and that your real estate resolutions for the next 12 months come to fruition. 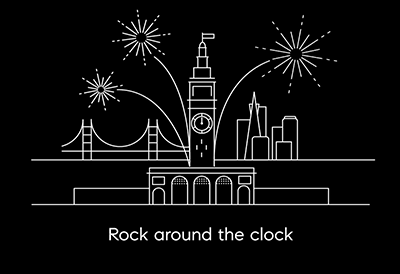 We’re taking a couple of days off to ring in 2019 in style, but please check back on Wednesday, Jan. 2 for a brand-new, exciting year of Golden State real estate insights and news. © 2019 All Rights Reserved.Schoenhouse and Manter Partners Broker Associates.